During April, UCI will battle other University of California institutions in the 2019 Cool Campus Challenge, a contest to see which location can do the most to reduce its carbon footprint and spread the word about the importance of going carbon neutral. 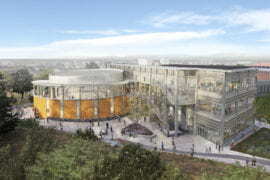 The systemwide competition motivates campus communities to support the UC Carbon Neutrality Initiative, launched by UC President Janet Napolitano in 2013 with the aim of the university achieving carbon neutrality by 2025. The goal of the Cool Campus Challenge is for the university communities to engage in a culture of sustainability and environmentally friendly practices. All students, faculty and staff can contribute to this effort by registering at CoolCampusChallenge.org and taking actions to reduce their environmental impact. Participants earn points for each action they take, and the campuses with the most points and greatest percent of participation at the end of the competition on April 26 will be crowned the Coolest UC Campus. Each week, the challenge will highlight actions participants can take to reduce greenhouse gas emissions and combat climate change, such as shutting off computer monitors that are not in use or taking public transportation. Individuals and teams can compete to win, and multiple prizes will be awarded. Participants can earn additional points by coming up with their own creative ideas for reducing their carbon footprint. 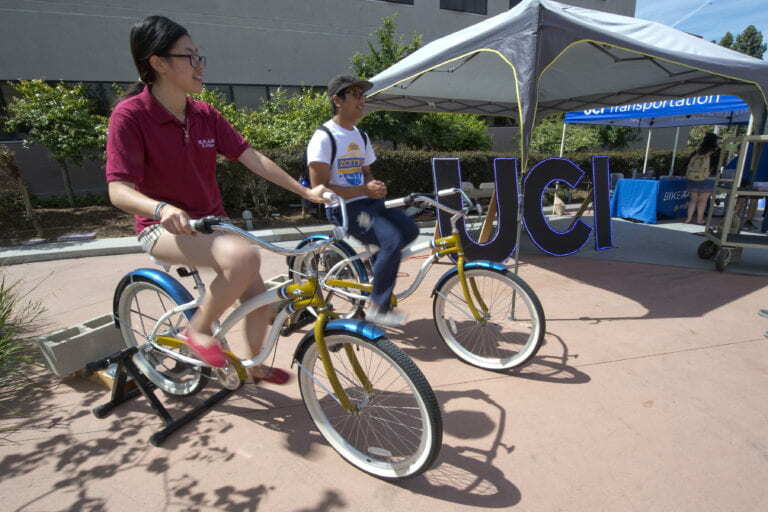 “UCI was the winner of the first UC Cool Campus Challenge in 2015, so we are in effect the defending champions,” said Wendell Brase, associate chancellor for sustainability. “Caring for our planet and its future is strong part of the culture at UCI, from the research we conduct to the way we go about our daily lives, so I think we have a good chance to come out on top again. But we’ll only do it with solid participation by our students, faculty and staff.” Brase said he hopes all Anteaters will go to CoolCampusChallenge.org to set up their profiles and then log their sustainability activities throughout the month of April.